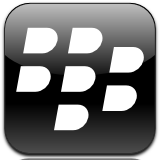 BlackBerry | BrainSoft Software (P) Ltd.
BlackBerry is one of the selected in Smart phone industry, Due to its flexibility of custom application development for range of industry. Blackberry was one of the first companies that allowed users to discover that their thumbs could be used extensively to communicate with others all over the world. Their smart-phones featured full QWERTY keyboards with comparatively huge displays until the entry of touch phones, although some of their models still do feature actual keyboards. Blackberry allowed users to merge their phone with a digital diary and to a certain extent a laptop, and it is this feature that enabled it to capture a large chunk of the mobile market. Along with an increase in handsets, the market also witnessed an increase in Blackberry Application Development companies that offered customized software packages to handle the specialized needs of their users.